Director Q&A following Friday,September 21st Screening. 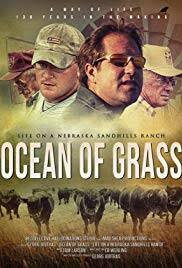 The documentary film, OCEAN OF GRASS – LIFE ON A NEBRASKA SANDHILLS RANCH, is a visually stunning organic journey about life all rolled up into the ranch experience. The conflicts and issues in the film are real but not overblown. In the end, the film is an honest and personal look at being who you are and treating all creatures and the land with respect.